For homeowners that have recently adopted a puppy, having it trained by a professional dog trainer is an absolute must. Having a trained dog that is well-behaved is only a matter of pride for the family, but also goes a long way in ensuring that other people and pets are safe around your pet. Dogs are intelligent and respond positively to training when they are pups. As the saying goes “you cannot teach an old dog new tricks” literally applies hence, they need training when they are in their formative years. On occasion, you might hear a dog owner remark I’m training my best friend at home, but he seems to be oblivious of learning. The fact is only a professional dog training school or trainer can accomplish the task successfully. A professional trainer is best qualified to detect early behavioral problems that a dog might exhibit. They train the animal objectively unlike dog owners that get blindsided by love for their pet. This helps to remove any negative traits in the early stages before it progresses and becomes a major issue. What an owner might consider cute will not be very cute six months down the line. Any professional dog trainer will take the pet’s breed, personality, temperament, and history into account before deciding the best coaching plan to train them. No two dogs exhibit exactly the same traits as every animal has a different personality. A seasoned professional will draw up a customized training plan best suited to your dog. All of this is only possible because of the extensive training they receive in handling pets. Also, the overall experience they in working with different dogs definitely are of help. Getting professional advice from the trainer goes a long way in helping the pet owner better understand and communicate with their dog. They guide the dog owner to read the body language of the pet, identify problem areas and suggest remedial measures. The advice certainly helps the dog owner to develop a stronger bond with their pet. A dog takes less time in getting trained when done by a professional. As the trainer is a professional he will be able to formulate a training plan almost immediately upon meeting and interacting with the pet. This is because of the training and experience in the area. 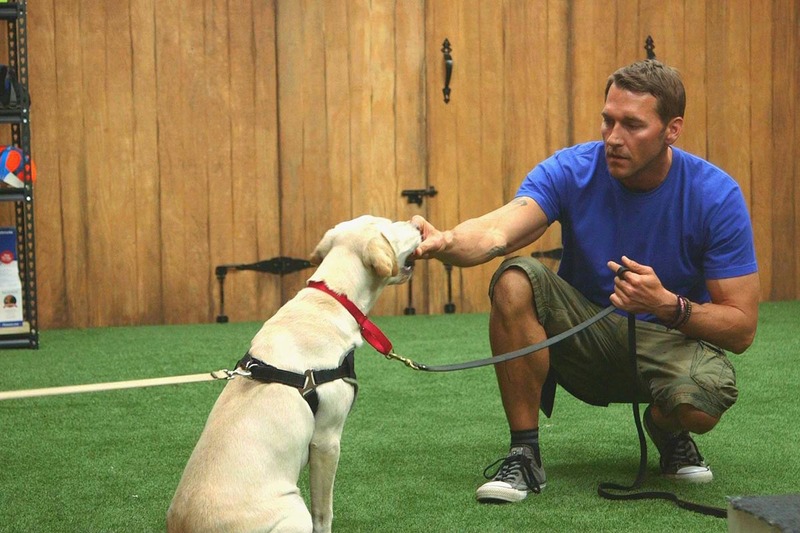 Dog owners that hire a professional trainer find the dog’s training is over in record time. If any negative traits are present, they get removed or controlled. Most dogs that go through basic training are able to resolve most behavioral issues. Dogs by nature have some very peculiar quirks and these get nipped in the bud through professional training. Habits of sniffing the crotch area, displaying destructive behavior etc. are not only socially embarrassing but could lead to bigger issues if not detected and removed early.